Combining Two Images to Make a 4x6"
Today's "Tech Talk" is the result of another reader question. In fact, this is a question that I am asked on a fairly regular basis, especially from those who scrapbook. "How do I combine two images to make a single 4x6" image that I can print?" There are several reasons why you would want to do this, but I will leave the "why" to your creativity. For now, I will walk you through the steps needed to do this. The first thing we need to do is open both images in our editing app. Next, we will need to crop and size each image so that they are both 4x3" and ultimately in the same orientation (I chose these images as a sample mainly because one image happens to be landscape while the other is portrait). In my case, it doesn't matter which one you adjust the orientation on, so long as they are both the same orientation before we join them. We also need to ensure that their resolutions match. For printing, I recommend using a DPI/resolution of 300 or higher (300 is sufficient for most uses). Next, we will need to choose one of the images, and expand the canvas so that the second image can fit next to the original without overlapping. To do this, we will simply double the canvas size on one side. It's important that we choose the option to expand the canvas in one direction. The default is to expand the canvas on all 4 sides so that the image is centered. Doing this will make it difficult to align the images next to each other. 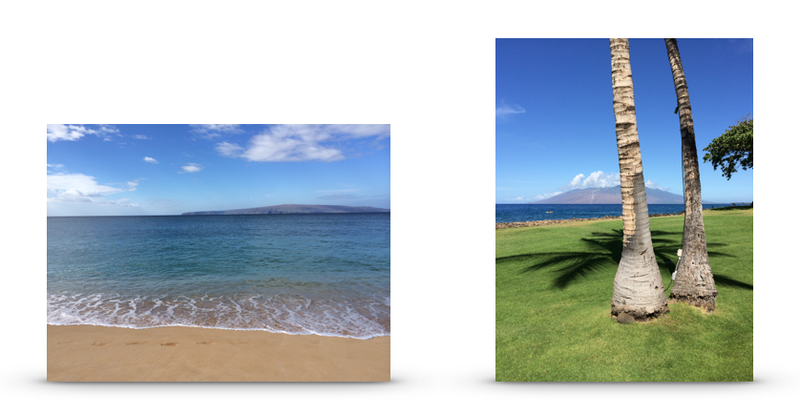 Now that each image has been sized to 4x3", the resolution matches, the orientation is the same on both and we have expanded the canvas on one of the images, it's time to join the two images. To do this, we will simply highlight the entire image to be copied, then paste it to the image where we have expanded the canvas. Most editing apps will paste the image in the center of the canvas, so we will need to adjust the placement of the new image to the side of the original. For those who prefer to learn visually, I made a short video walking you through the steps. Posted on March 4, 2014 by Kevin Allgaier and filed under Design, How To, Mac.